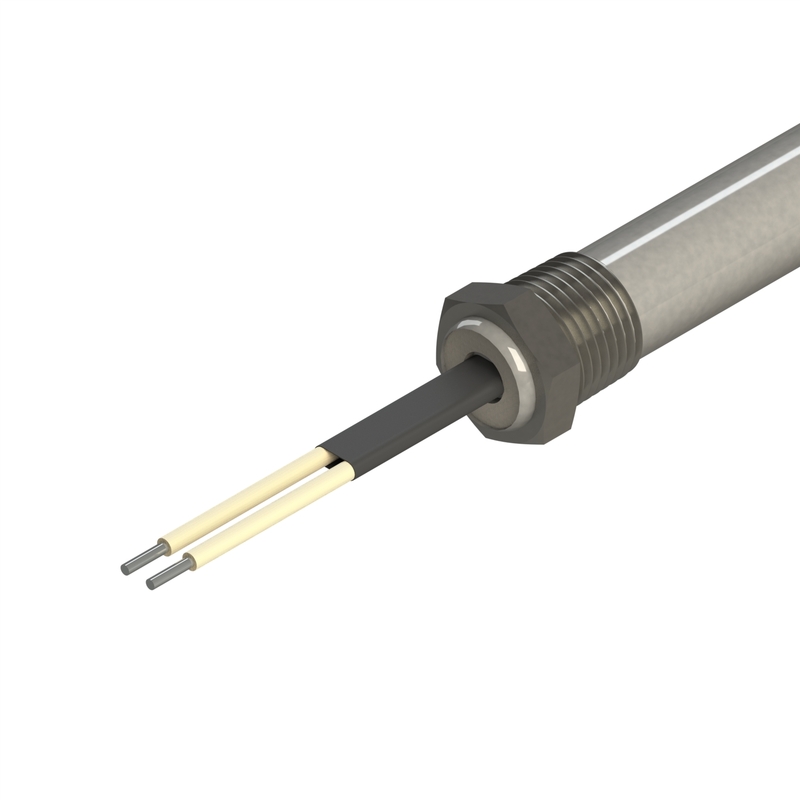 This cartridge heater features one stainless Steel NPT. A double NPT design can be requested. Typically this cartridge is TIG welded, but it can be brazed if requested, and or welded with threads facing the leads. This style is also usually sealed with an epoxy or silicone, though it is not required. This pipe cartridge heater is generally used in immersion applications or help secure the heater, or aid in the removal process. This style cartridge heater can be combined with other styles including the stainless steel braid or armor leads.